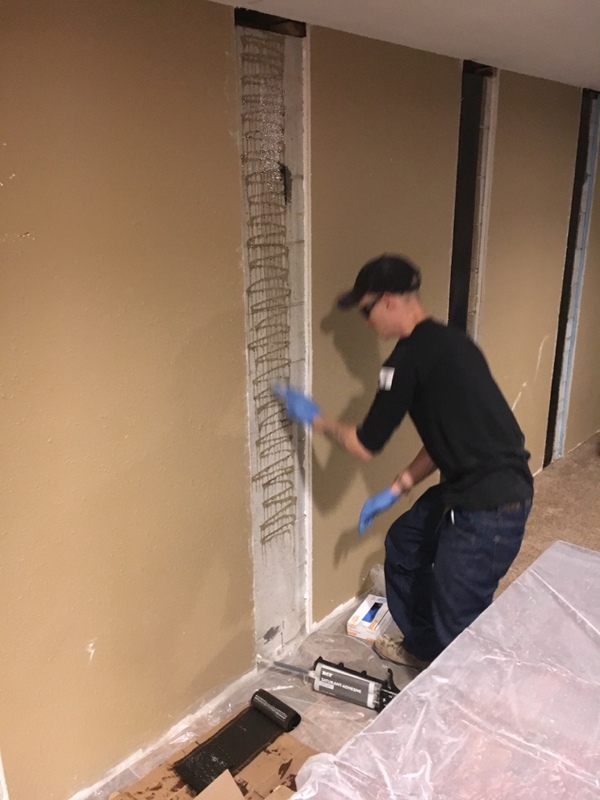 Epp Concrete has provided complete foundation repair and basement waterproofing services to the residents of Friend, NE and the surrounding areas since 1994. From foundation settling and cracked walls to water drainage issues, we have the solutions you need! Check out our reviews to find out why your neighbors rely on Epp to fix their foundation issues in Friend, NE. Installing carbon fiber straps to prevent further inward movement of the foundation.